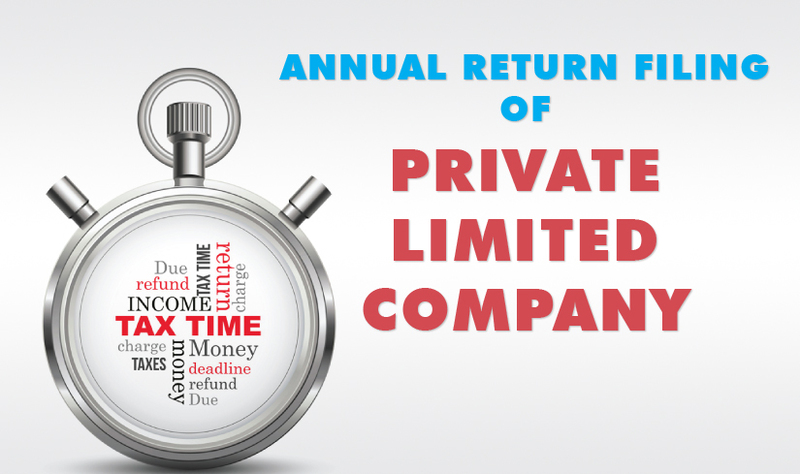 When do File Annual return by Private Limited Companies under Companies Act? Under Companies Act 2013, every company should file Annual retun every year. The main purpose of filing Annual return with ROC is disclose the annual information of the company to ROC and its member of the Company. Every company should file annual return in Form No.MGT-7 with applicable fees to the ROC. Non Filing Annual Return will attract penalty under the Companies Act. So every company necesary to file the Annual Return to avoid the penalty.